Buy $25 of Islands Restaurants' Gift Cards to receive a $5 Islands Restaurants Gift Card. Promotional cards will be emailed to the purchaser on 04/21/2019 from redemptions@quickgifts.com. Promotional bonus cards are only valid June 17, 2019 - September 30, 2019. Bonus card cannot be used for gratuity or to purchase alcoholic beverages. 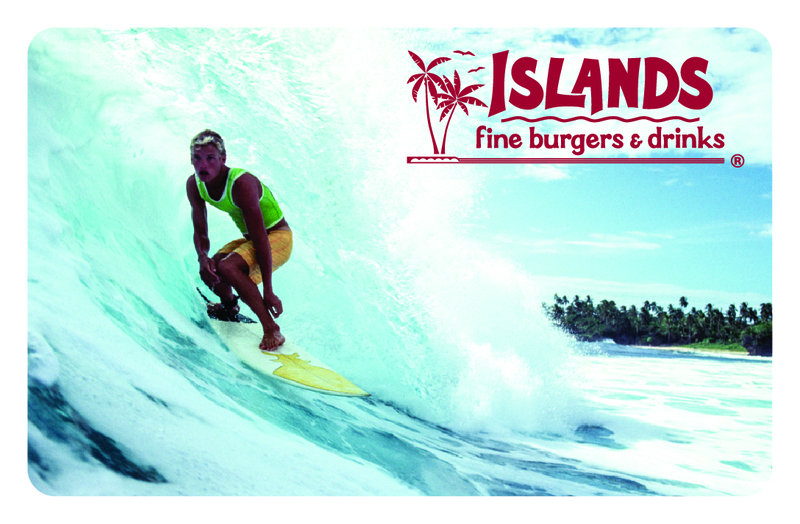 Islands has been serving gourmet burgers, fresh cut fries, tropical drinks and the coldest beer in town for 35 years. 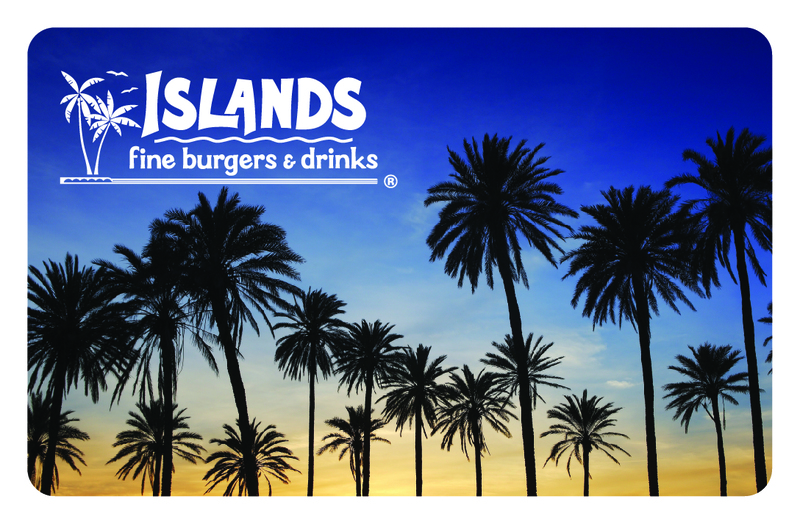 With locations throughout California, Arizona, Nevada and Hawaii, you can find an Islands right in your neighborhood. Watch your favorite team or awesome surf videos on big screen TVs or drop by for Happy Hour specials weekdays starting at 3p.m. Relax and enjoy a beach inspired moment with your family and friends! Note: All orders received after 8 p.m. Pacific Time will be fulfilled the next day. Please safeguard your card as we cannot replace it if lost or stolen. EXCEPT FOR BALANCES LESS THAN $10, balance cannot be redeemed for cash or applied as payment to any account unless required by law. Check your balance at any Islands restaurant, by visiting our website at www.islandsrestaurants.com or by calling this toll-free number: 888-476-4753. Use of this card constitutes acceptance of these terms and conditions. Cards cannot be used for gratuity. 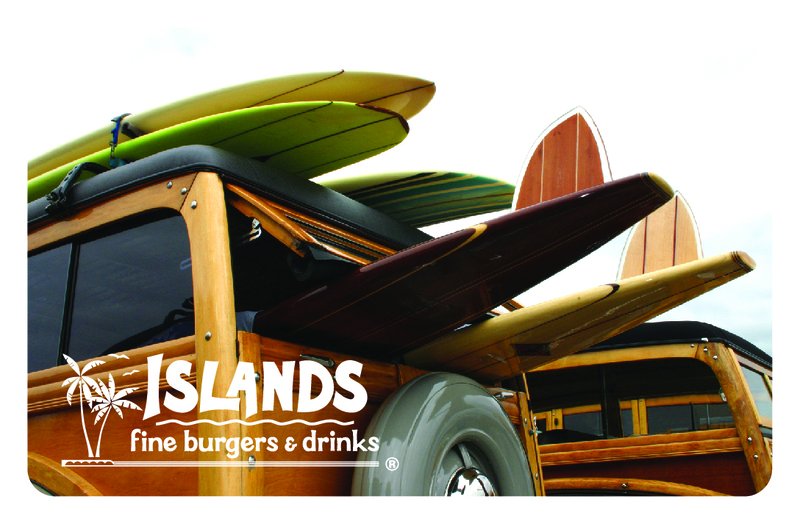 For balance inquiries call the phone number to a Islands Restaurants' location below.